With winter in retreat, the garlic in my garden is growing well after a rather rough winter. From the picture, you can see what looks like dead grass stems on either side on my garlic row. Well those are my spring oats that I planted at the end of August when I formed my garlic row beds. At the end of September, I planted my garlic cloves on the top of the row beds. It is the cover crop I plant ahead of garlic to reduce the competition from winter annual weeds and to provide a protective winter mulch. What I like about this system, is that the spring oats seeds almost entirely fall in the valleys beside the row bed. This leaves a clean row bed top. By late September, the spring oats have grown tall enough to shade and cover the top of the bed where the garlic is planted. The garlic is planted into a weed-free stale seedbed. My oats cover crop is killed by the cold temperatures of late fall in the upper teens. 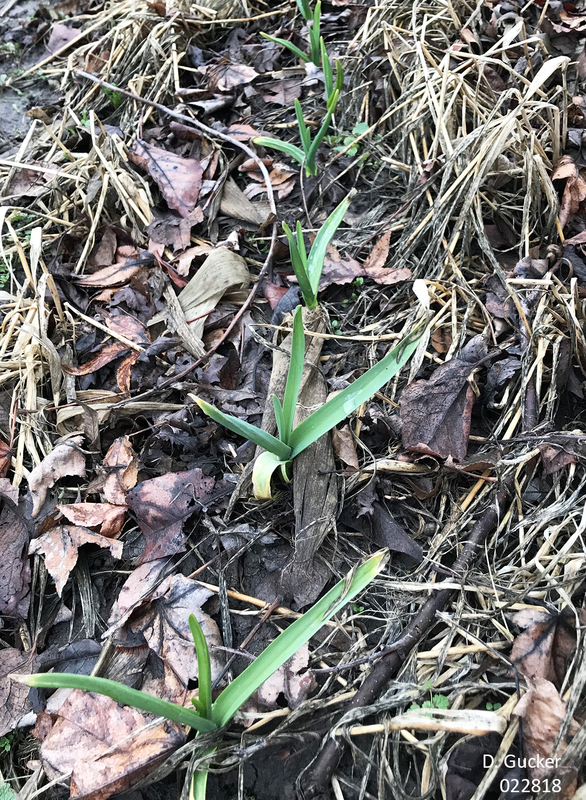 The winter killed oat stems act like mini windbreaks to catch wind-blown leaves that adds more material to the mulch layer over the garlic row. I like this cover crop method of growing garlic, because in a conventional garlic planting you use a loose mulch to cover the planted garlic row. 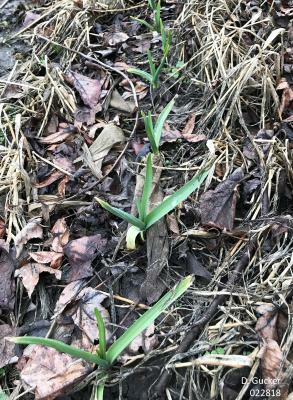 Where I live my loose mulch are blown off the garlic rows by the strong winter winds, and this leaves my garlic rows exposed to cold winter temperature fluctuations and these open garlic row areas are prone to infestation from winter weeds. My garlic-cover crop system keeps mulch on my wind blown garden and it keeps my winter annual weed problem down to a minimum.